Like New. Set of 30 volumes.Bound in blue embossed bonded leather. Gilt edge pages. Contents: 1. Three Years in the Sixth Corps; 2. Hard Tack and Coffee; 3. Reminiscences of the Civil War; 4. 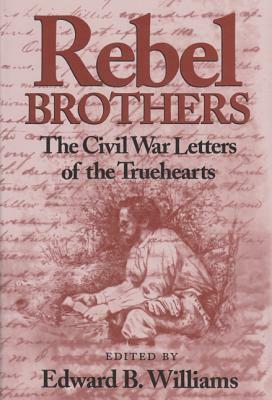 A Rebel War Clerk's Diary Vol. I, 5. A Rebel War Clerk's Diary Vol. II; 6. One of Jackson's Foot Cavalry; 7. Army Memoirs; 8. War from the Inside; 9. Mosby's Rangers; 10. The Story of a Cannoneer under Stonewall Jackson; 11. Daring and Suffering; 12. The Citizen Soldier; 13. Campaigning with Grant; 14. Three Months in the Southern States; 15. Personal Reflections of a Cavalryman; 16. The Story of a Common Soldier; 17. Life in the Confederate Army; 18. Four Years in Rebel Capitals; 19. The Narrative of a Blockade Runner; 20. Battlefields of the South; 21. A Soldier's Recollections; 22. Memories; 23. Confederate Operations in Canada and New York; 24. Richmond During the War; 25. Campaigns of a Non-Combatant; 26. Recollections of a Private; 27. In and Out of Rebel Prisons; 28. Destruction and Reconstruction; 29. Army Life in a Black Regiment; 30. Detailed Minutiae of a Soldier's Life. Excellent 1st hand history of the Civil War. Includes a copy of a 1864 letter and a portfolio that came with set.